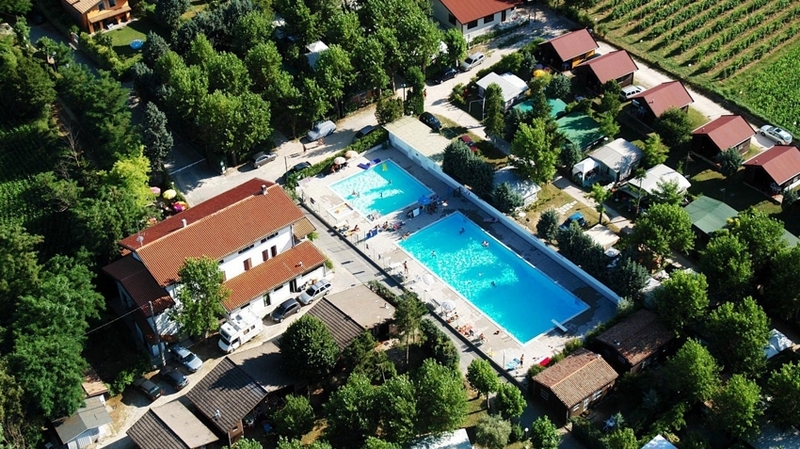 The Camping Village Trevisago is located in Moniga del Garda, only 1.5 km from the shores of Lake Garda. 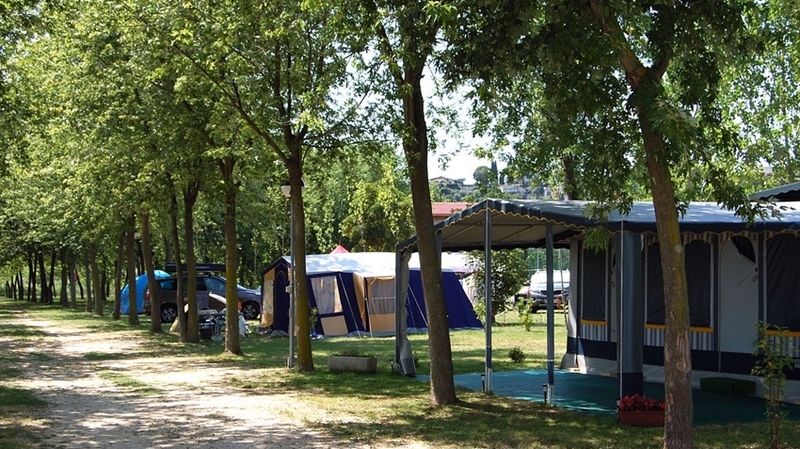 Our campsite offers bungalows, apartments as well as pitches for tents and campers – ideal for holidays with the family or with friends. 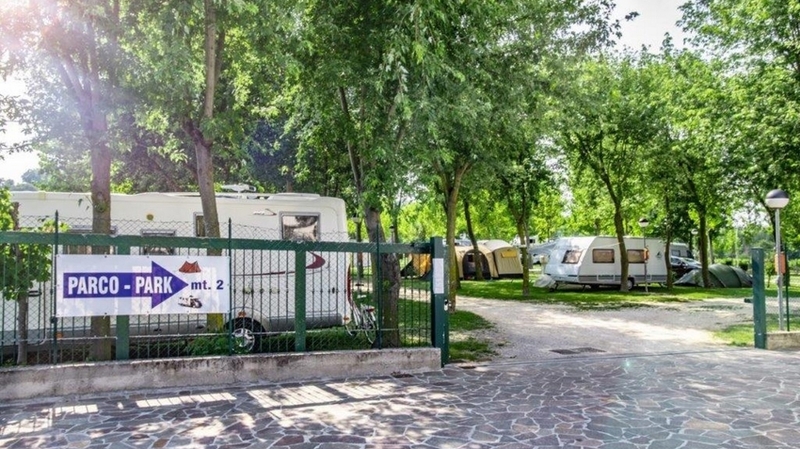 The campsite is located in a quiet position in the middle of nature and is yet a good starting point for excursions to the most beautiful and popular localities at Lake Garda. 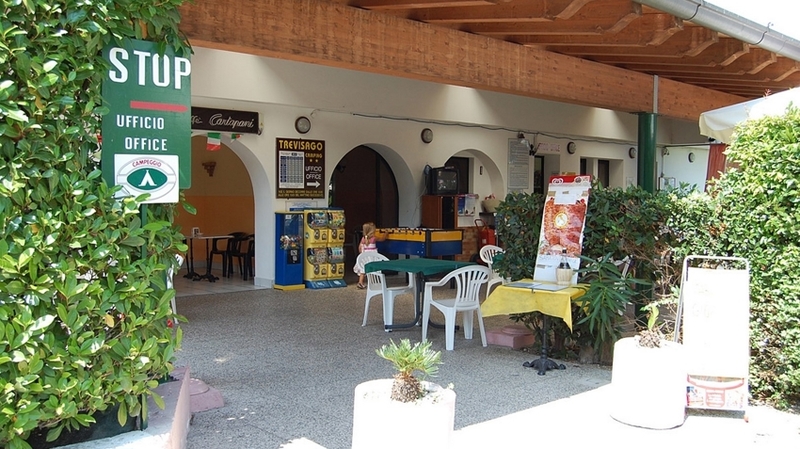 Camping Trevisago also includes a restaurant with bar and pizzeria, a pool, a playground, a football pitch and much more. 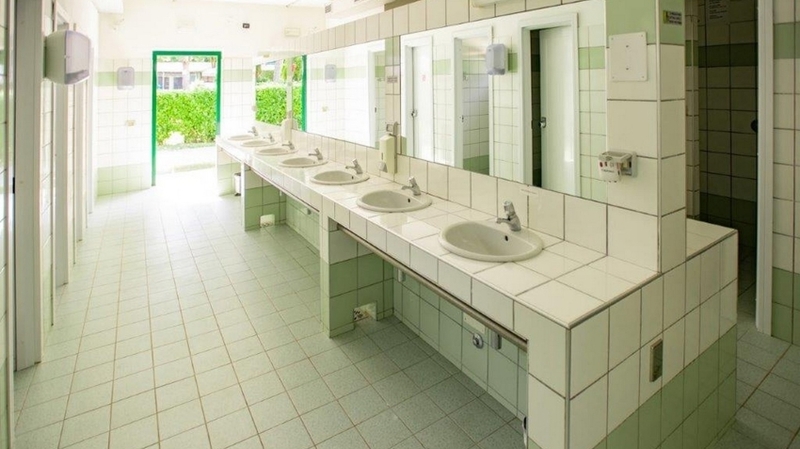 The guests are also offered a coin-operated washing machine. WLAN is available in some areas. 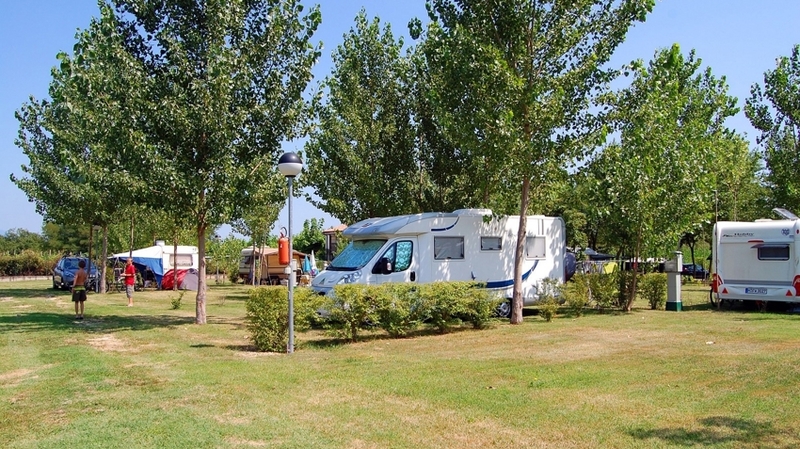 Our campsite offers large pitches surrounded by green areas, three types of bungalows and apartments. 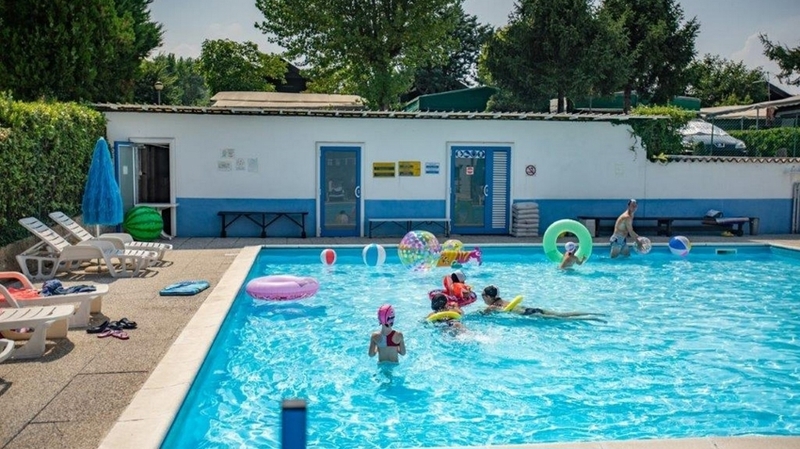 The Bungalow A is ideal for 4 persons, has a fully equipped kitchen, a living room with sofa bed, table and chairs, a bedroom with bunk bed and cupboard as well as a private bathroom on the terrace with WC, shower and washing basin. 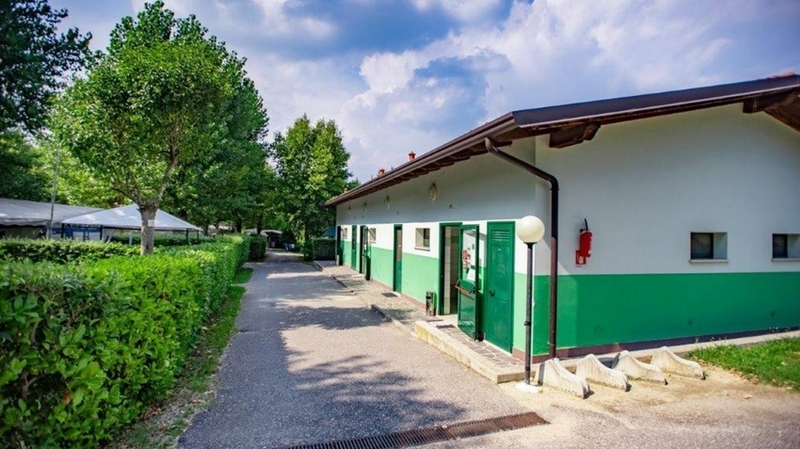 In the Bungalow B, there is a double room with cupboard, a room with bunk bed and cupboard a living room with fully equipped kitchen as well as a bathroom with shower, WC, bidet and washing basin. 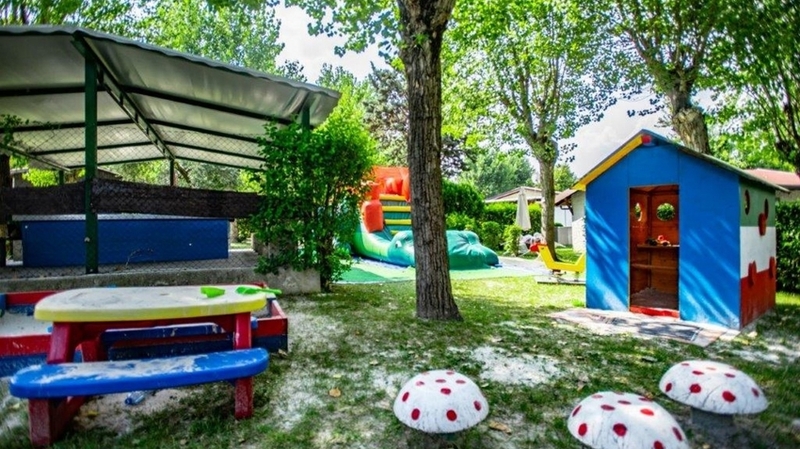 The Bungalow C offers a living room with two sofa beds, table and chairs, a fully equipped kitchen, a bedroom with bunk bed and cupboard as well as a bathroom with shower, WC, bidet and washing basin. 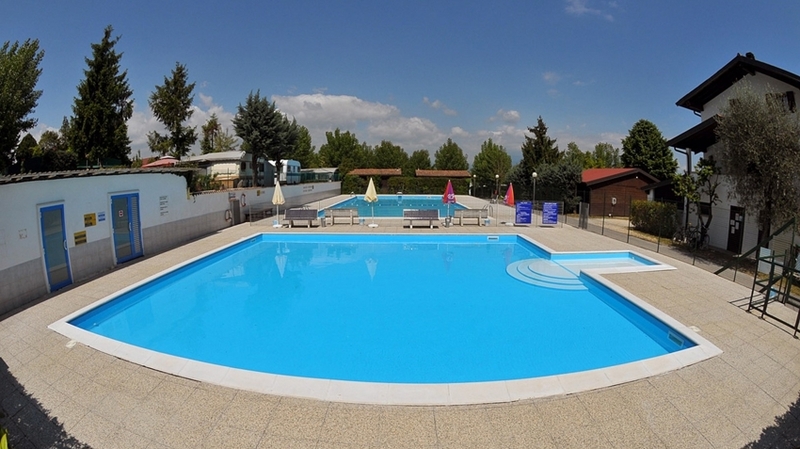 A parking in front of the bungalow as well as cold and hot water are included in the price. A table and chairs for the outside area are available too. 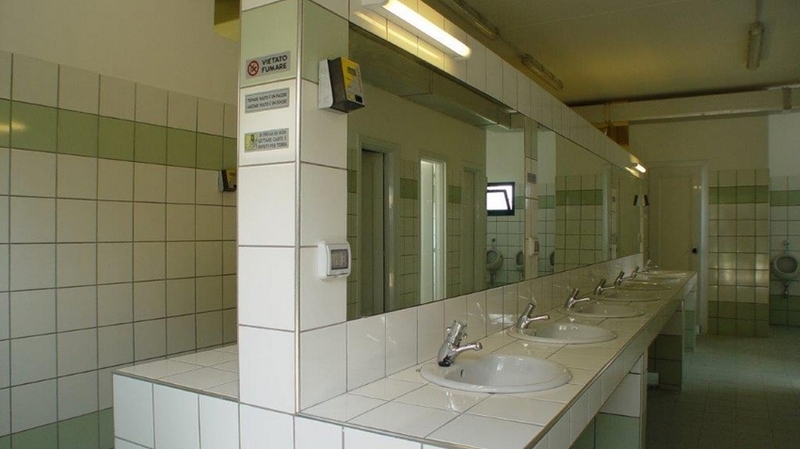 TV and air conditioning are offered against payment. 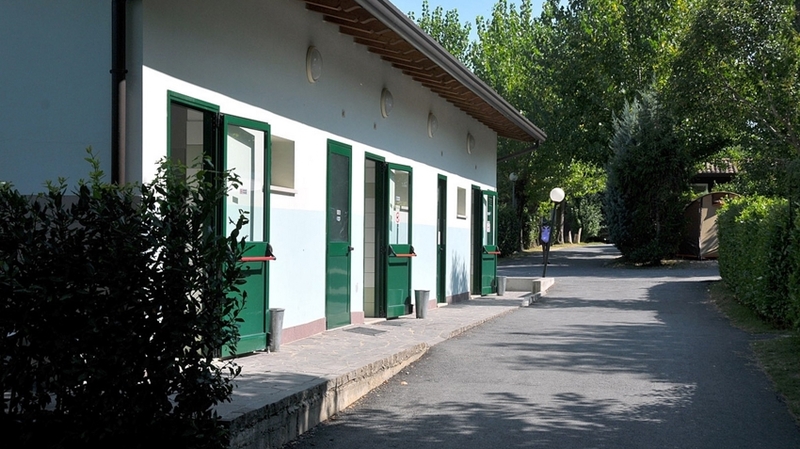 The apartments are located on the first floor of the main building and have a living room with kitchen, a bedroom, TV, a bathroom and a terrace with table and chairs. Also, there is a parking in front of the house. 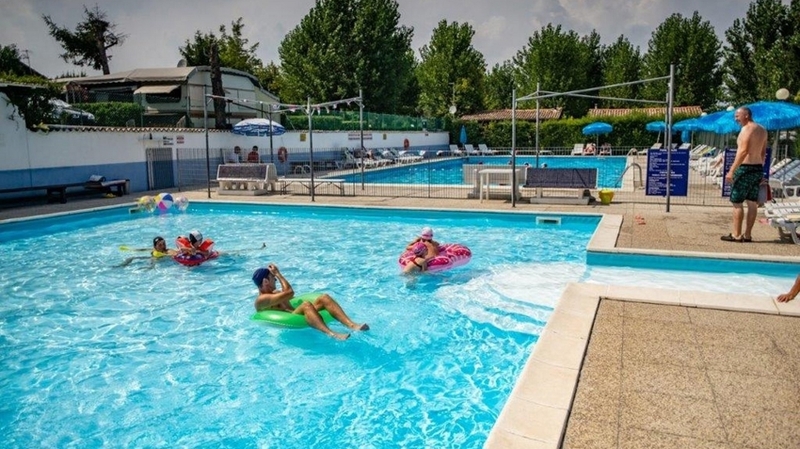 During the main season, Camping Trevisago in Moniga del Garda offers a varied activity programme for kids and adults, with dance nights, karaoke, mini club, soccer, volleyball and bingo. Night shuttles take you to the discos in the environs. 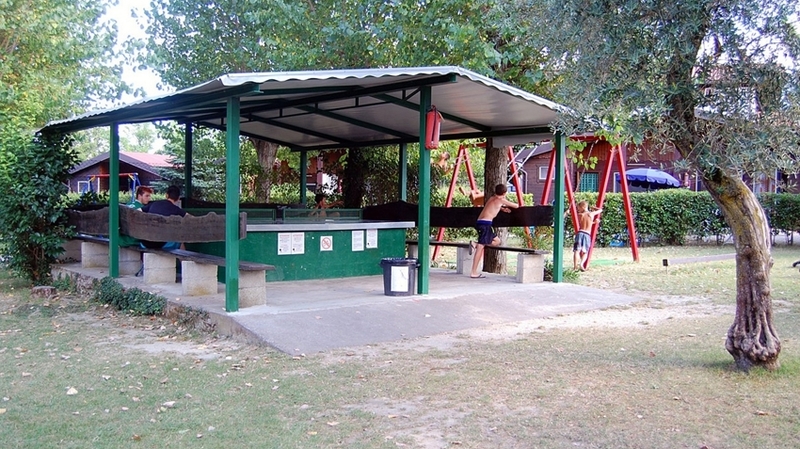 Water sports lovers, hikers, cyclists and active travellers are offered many possibilities in the surroundings of the campsite. 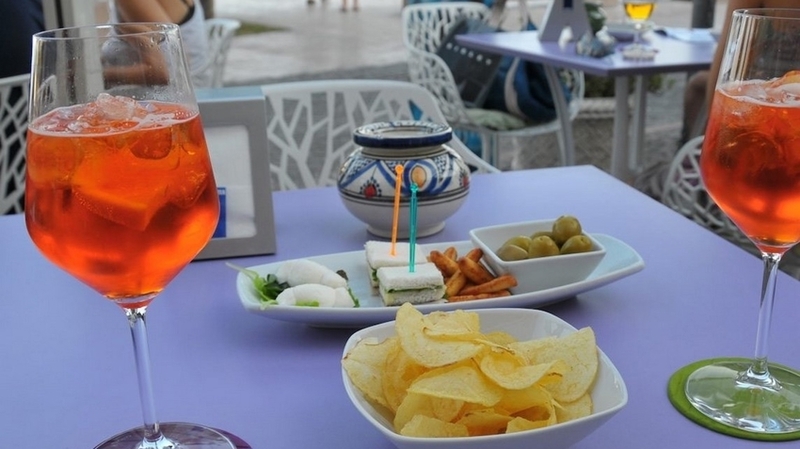 Culture lovers should visit the cities of Verona and Mantova and families will love the amusement parks at Lake Garda.